From 1 August 2016, isaac Schweiz GmbH will become a general distributor for the tried and tested Enterprise Content Management Software AMAGNO in Switzerland. Thomas Meseck, former CEO of Navision Schweiz, is the man charged with setting up the distribution and partner network for AMAGNO. AMAGNO GmbH & Co. KG’s decision to put the task of distribution completely in the hands of isaac was an easy one for the company from Oldenburg. “We first came in contact at the CeBIT 2016 in Hannover and almost immediately built up a great mutual trust and rapport. We have found a highly motivated and at the same time highly skilled partner in isaac. With Thomas Meseck, who had already been extremely successful in establishing the partner distribution network in Switzerland for Navision, leading the way”, explains Jens Büscher, Managing Director of AMAGNO. AMAGNO in Switzerland – still innovative, clear and complete. AMAGNO offers companies and organisations a complete solution for the digitalisation of office documents and business processes. The software is industry-independent whose scope of functions is always delivered in full, meaning that customers can map all the necessary company processes in no time. AMAGNO stands out from the crowd with its complete software package, providing a transparent pricing policy which earns trust and future security. The modern and intuitive user interface ensures high acceptance rates among company employees for the new digital workplace. By using AMAGNO, companies take another logical step towards digitalisation and thus increase their efficiency. Employees waste less time managing floods of emails and paper, are more motivated as a result and can focus more of their time on their core tasks. Thanks to the time saved and the resulting increased efficiency, companies can gain a massive competitive advantage. For interested dealers and IT system houses in Switzerland, isaac Schweiz GmbH provides an interesting offering and attractive conditions for the establishment of the dealer network in Switzerland. You can find the contact data here if interested. Since 2011, AMAGNO GmbH & Co. KG from Oldenburg in Lower Saxony, has been developing Document Management software and an Enterprise Content Management solution of the same name. The company was founded by Jens Büscher. He had previously been active as a leading Product Manager of the globally-renowned Web Content Management system RedDot (today OpenText Web Solution) and as a founder of the ECM system DocuPortal. Today AMAGNO ranks as one of the most innovative and fastest growing digital companies in Germany and is used by more than 10,000 users. isaac GmbH was founded by Stephan Kohnke in Potsdam in 2012 as a solution provider and consulting firm in the area of Document Management (DM) and Enterprise Content Management (ECM), and has developed the document output system DES. 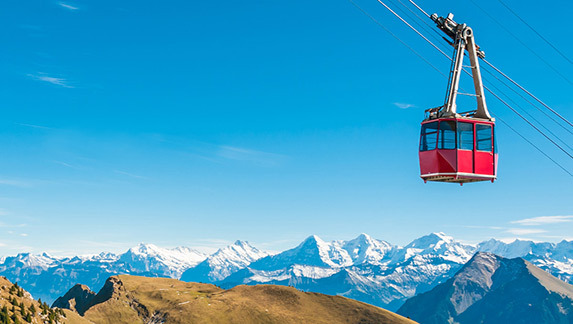 DES has been used successfully in Switzerland for a number of years. isaac Schweiz GmbH was founded in 2015 and has its base in Root.